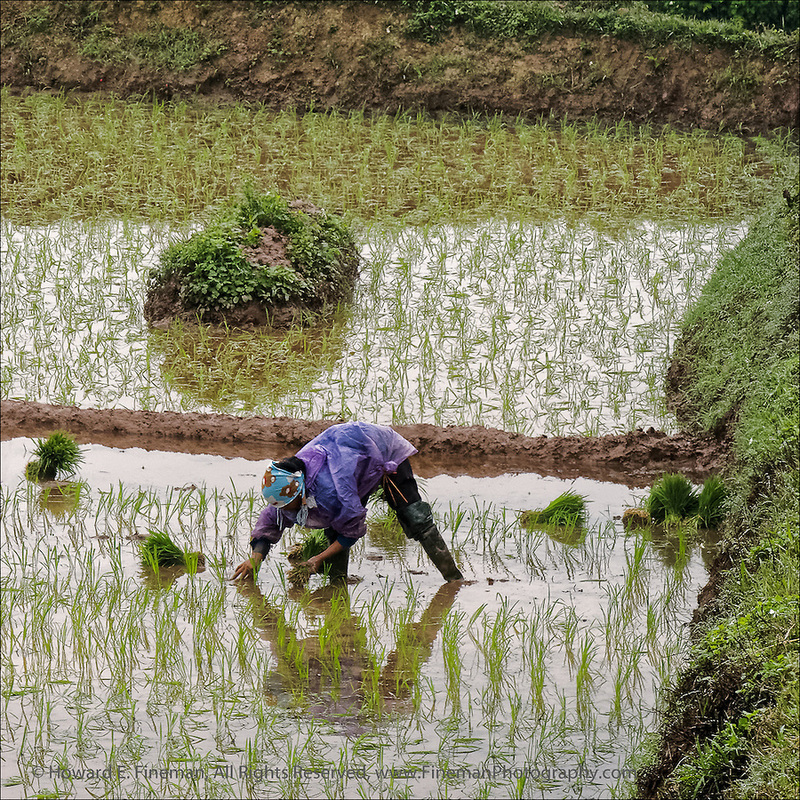 Woman planting rice in paddy along the highway between Hanoi and Ha Long Bay. The rice in the north is less lush and plentiful than in mid-country and the south. This print was selected for the Newton Open Studios "Invitational" showcasing work of artists who previously received top juror awards.